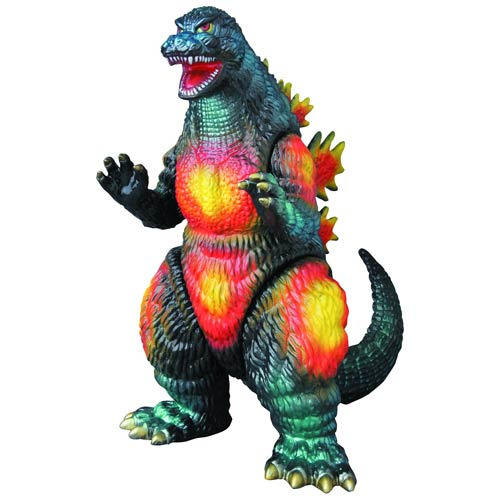 This Godzilla Destroyah Roaring Version Sofubi Vinyl Figure - Previews Exclusive features the King of Monsters in a burning look from the 1995 film, Godzilla vs. Destroyah. Godzilla is in an angry mood, and is a reproduction of the classic Toho sofubi look from the 1960s. Measures approximately 9-inches tall by 9-inches long (including the tail) by 5 1/2-inches wide. Ages 15 and up.